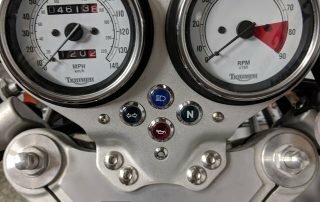 It’s hard to remember a time when Triumph wasn’t at the forefront of making cool bikes. But it was a big chance they took when they initially brought back the Bonneville, rose-tinted glasses and all. 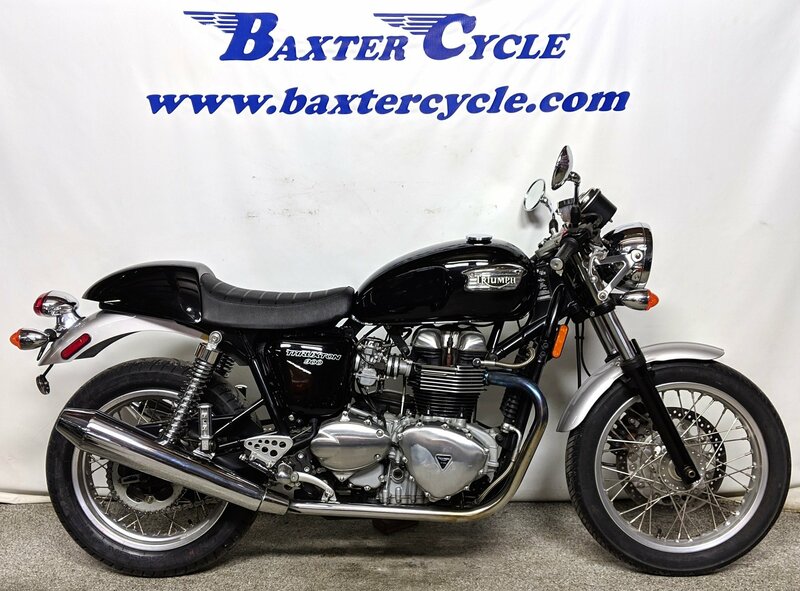 It could be said that it was an ever bigger gamble when they introduced the “hopped up” variant, the Thruxton, a few years later. Nobody was begging for a cafe’ racer to be made – this was the era of Superbikes and Fat Tire Choppers. A few had tried their hand at the cafe’ thing in the recent past (Honda GB500, ahem), but none had really succeeded. Was it wise to do this, especially when no one was asking for it? Who cares? The bike was a success and even spawned a race series dedicated entirely to the model. 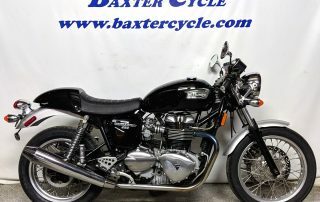 Triumph had come back, Triumph had reinvented itself, and Triumph was making cool motorcycles. 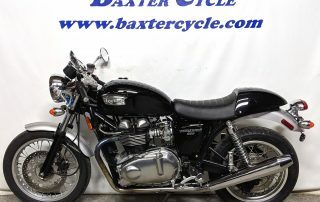 The Thruxton was the coolest. This first-gen (i.e. carbs and clip-ons!) Thruxton is like new with just over 4000 miles showing on its white-faced clocks. 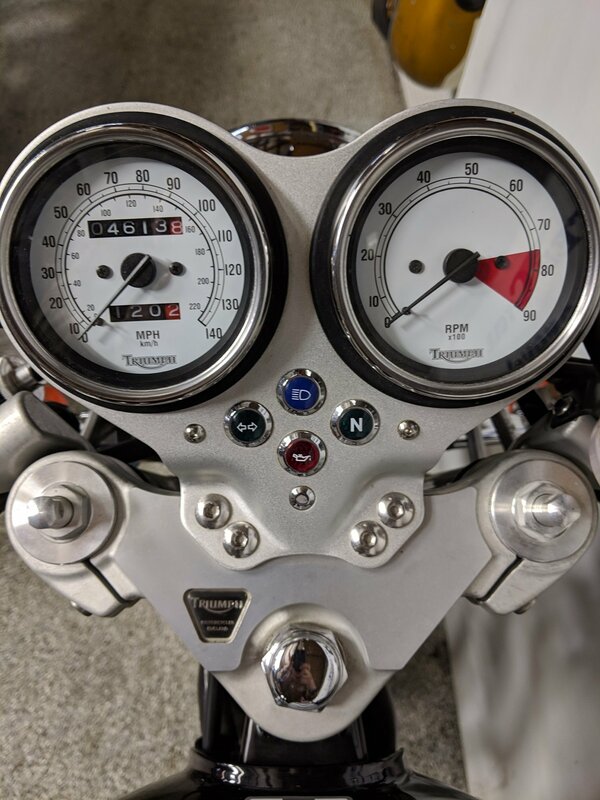 We’ve just serviced her, gave her a new battery, and a new rear tire. Ready to burn it up on the boulevard or twist-and-go on the back roads. Ton up!